The quality excellence awards are bestowed for securing considerable results in quality management and the competitive ability of products and services, in introducing innovative technologies and modern management methods. 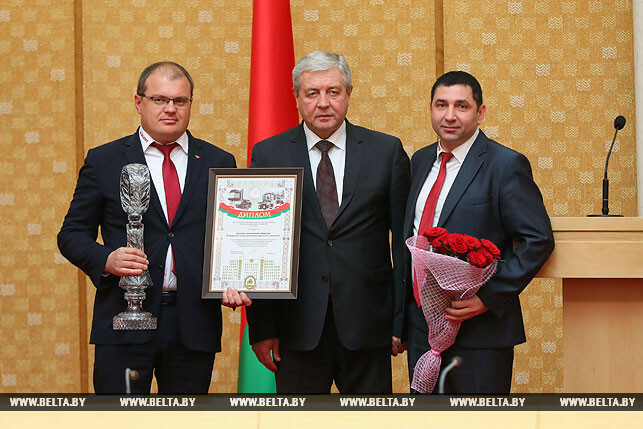 Vladimir Semashko awards OJSC "Bobruisk Plant of Tractor Parts and Units"
As many as 31 companies and organizations have confirmed their quality excellence awardee title. They represent mechanical engineering industry, food industry, transportation, civil engineering and other industries, light industry, perfumery, cosmetics, furniture, and the sphere of services. 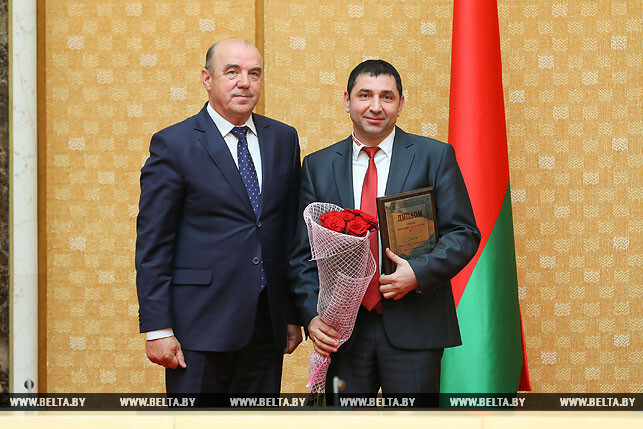 Viktor Nazarenko presents a Best Quality Manager award to Alexander Sakun, First Deputy Director of OJSC "Bobruisk Plant of Tractor Parts and Units"
If you use BelTA’s materials, you must credit us with a hyperlink to eng.belta.by.